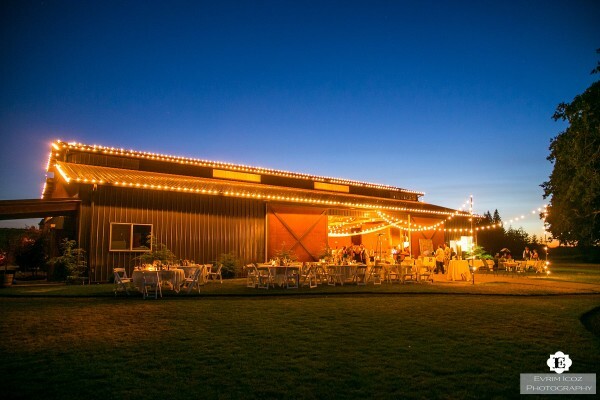 Looking for an indoor and outdoor venue open year round in Canby, OR? OakView Acres provides event space for all your special occasions or ceremonies, as well as sponsored events for the community, schools, and other fundraisers. A full event management team is available to discuss your event particulars and how to make it a success. Be sure to check out our upcoming public events for something fun to do! OakView Acres is located in historical Canby, Oregon situated on 40 country acres enhanced by the surrounding oak trees, Mt. Hood view and miles of tree-topped rolling hills providing you with the perfect backdrop for your special event needs. What nature has not already displayed, we have carefully planned for. The stage has been set for you, your family and friends to bring you to a past era where life was simple and the atmosphere inviting. The 6,000 square foot rustic pole barn and natural surroundings have been planned to provide you with the perfect space for either your indoor or outdoor event needs. With indoor seating for up to 300 guests, OakView Acres can offer your choice of the most formal of events or casual gatherings. Each event reflects your own style whether you hire our professional staff for full event planning or cover all your own details, we give you the flexibility to make your event unique to you and your ideas.